This exhibition presents a range of graphics made by Baselitz including some of the earliest as well as most recent etchings—all of them produced at the Niels Borch Jensen printshop in Copenhagen. 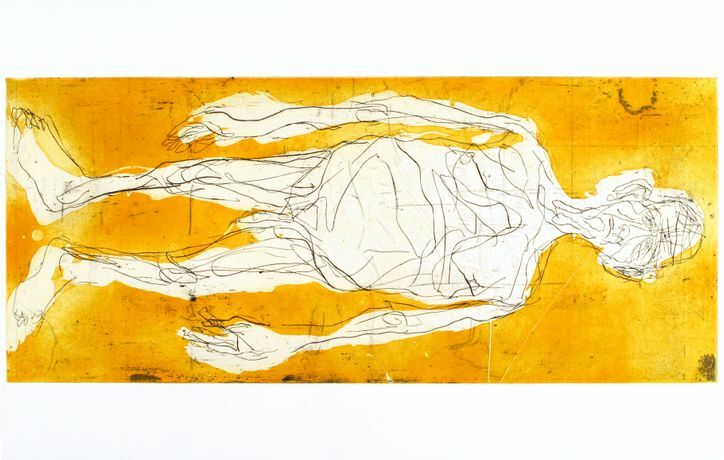 Through Niels Borch Jensen and Georg Baselitz’s long-term collaboration, starting in 1990, the relationship between artist and printer has become especially significant. The aim of the printer is to find ways of bringing the essential character of the artist’s work into their print projects. This artist-centered approach has been characteristic of Niels Borch Jensen’s print shop ever since its opening in 1979.